I'm a huge fan of peanut butter. Peanut butter cookies, pie, ice cream, candy, etc... Even straight out of the jar. When I found this recipe I have to admit that I was skeptical. Only 4 ingredients (5 with chocolate chips)? And no flour? No way!! Ohhhhhhh YES!! 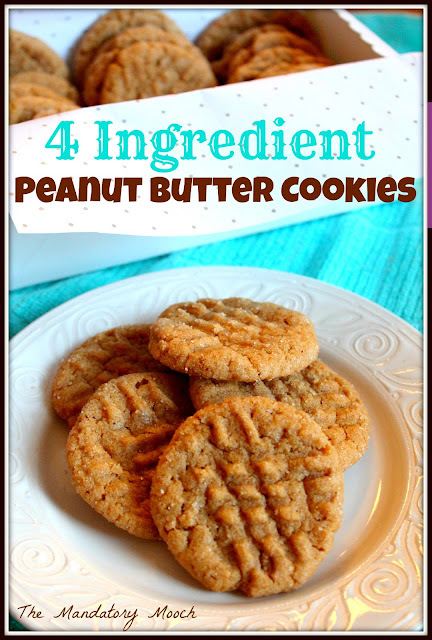 These easy treats are my new favorite peanut butter cookie recipe. 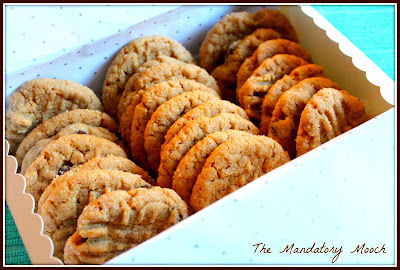 And my gluten-free-eating hubby can even enjoy them. 3. Use the tines of a fork to press the cookie flat and create the criss-cross pattern. Sprinkle with extra sugar. I have seen this recipe so many times and have yet to try it. Soon! Thankd for sharing. These could be great for Passover which is next week, and during this holiday we don't eat anything with flour. Just wanted to share that I have a recipe party going on over at Man Approved Diet. I'd love for you to stop by and bring a dish to share! Oh wow! Those are super easy! Thanks for partying with us at Time To Sparkle!